I'm going to be honest with you. I didn't know about this Pages feature for Blogspot. The links I have in my CSS tabs are links you can visit without having to visit this section. But if you want to know more about my links, you've come to the right place. Get to know more about me here. Before you click on my links, I recommend you read my descriptions about each link before visiting my links. Myspace is my home online. I'm having better days on Facebook, but I still call Myspace home. Before Blogger, I did blogs on Myspace. My Facebook Page and my Facebook Fan Page. I've used Facebook to connect better with my friends. I feel like I'm better able to connect with people on Facebook than I am on Myspace. "JohnMarineTube" was born on November 8, 2008 and made my first video a week later. Since then I've used YouTube as a means of expressing myself through videos. My videos are nothing special. It's just me talking to the webcam offering commentary in my own way. I also want to help out people on YouTube. Part of my motivation is that YouTube has too many haters and racists. I knew what I signed up for. But having said this, I still want to have fun. Fans of mine are encouraged to subscribe to my channel and friend me. I actively police my comments because I don't want my YouTube channel to be spammed up with hateful comments. There used to be a time where I was afraid to join Twitter, because it was too much for me to try to keep up. I mostly use Twitter to promote my blog and even post a few personal comments. 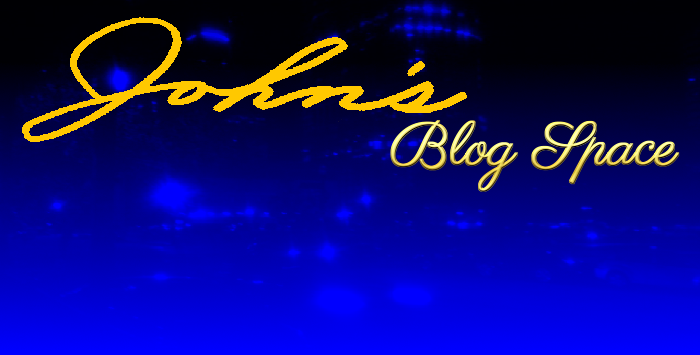 If you have Facebook and NetworkedBlogs, feel free to follow my blog with NetworkedBlogs. It's important I stress this... please read this description carefully. I have joined a few services to monetize my blog. One of those services was Google Adsense. Another one of those services is Amazon Associates. Amazon Associates is an affiliate marketing program where I earn commission just by referring people to products and by having people order these products. If I wasn't serious about blogging and wanting to profit from my work, I wouldn't have joined either service. I don't do this for the money. I do this because I love blogging and because I want to offer things in return to thank people for visiting my blog. I don't try to make you click on the links. Instead, I offer things you may be interested in based on products in my blog. You are encouraged to at least check things out. Products featured in my blog are relevant to the description. Since all I like to do is talk about things and use relevant examples to prove my points, I appreciate it if you take a look at products I offer, and even purchase these items if you see something you like. Since joining Amazon Associates, I've been utilizing this more in hopes that I can profit from my work. I feel like I've worked hard to try to offer my ideas on things while also offering items for you to purchase if you're willing to buy some things on Amazon. NOTE: For every blog entry, feel free to look at "An Important Amazon Note" in the sidebar to learn more about Amazon Associates. And those are my links. I may add more in case I join any other services or want to introduce you to more stuff. Thanks for reading!